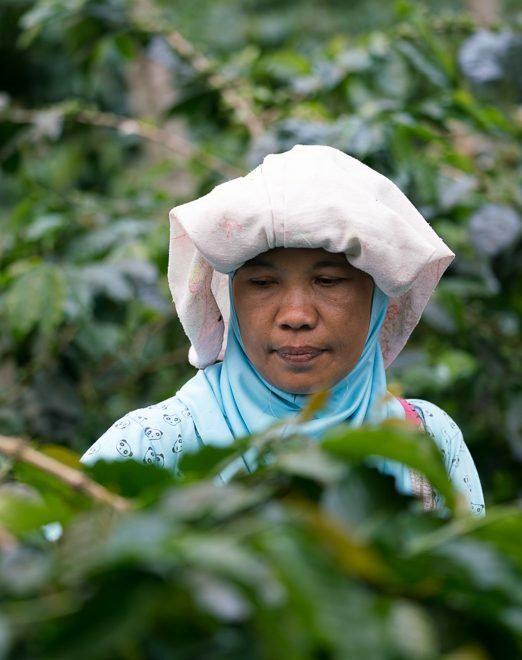 The Republic of Indonesia is without a doubt one of the most diverse and challenging places from which we source coffee, for myriad reasons. For one thing, when we say Indonesia we are talking about a chain of literally thousands of islands in the Indian Ocean, comprising roughly 1.9 million square miles of total land mass between continental Asia and Australia, on which more than 260 million people make their homes. Those islands also contain a multitude of ethnicities and cultures, as well as more than 700 languages in addition to the official national tongue of Bahasa Indonesia. For another thing, wow, Indonesia is really, really far away from our headquarters in Minnesota—nearly 9,000 miles, almost as far away as two places on planet Earth can be from one another. The journey from his most recent stop in Peru to visit partners on our primary coffee-sourcing island of Sumatra is even farther—more than 11,500 miles—and it can take senior green-coffee buyer Piero Cristiani at least two full days’ travel by plane, car, moto, and however else he can make tracks just to touch down at the start of his visits. Despite the distance, the language barrier, and the cultural variations that make sourcing coffee throughout Indonesia’s different islands something of a Tetris game, Piero always looks forward to the journey and is perpetually seeking new partners and exciting developmental projects for the coming years. 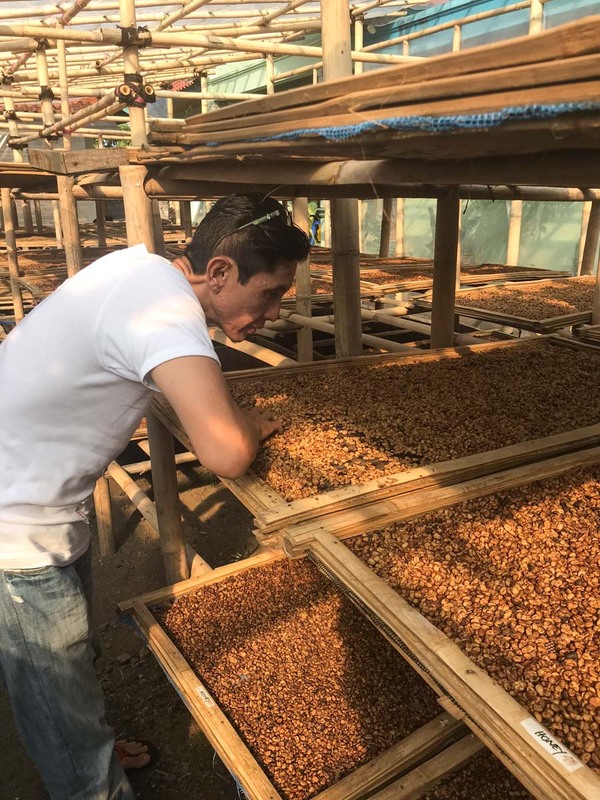 This year’s trip to Indonesia for Piero was no exception, and in fact it brought him to some farther reaches of the country in search of exceptional quality, dedicated and innovative producers, interesting profiles, and—especially in a year with tough pricing all around from Asia Pacific—some value options to meet all of our customers’ needs. Here, a brief recap of Piero’s most recent visit to Sumatra, Java, and Flores, and what we can expect from a few of this year’s arrivals from Indonesia. 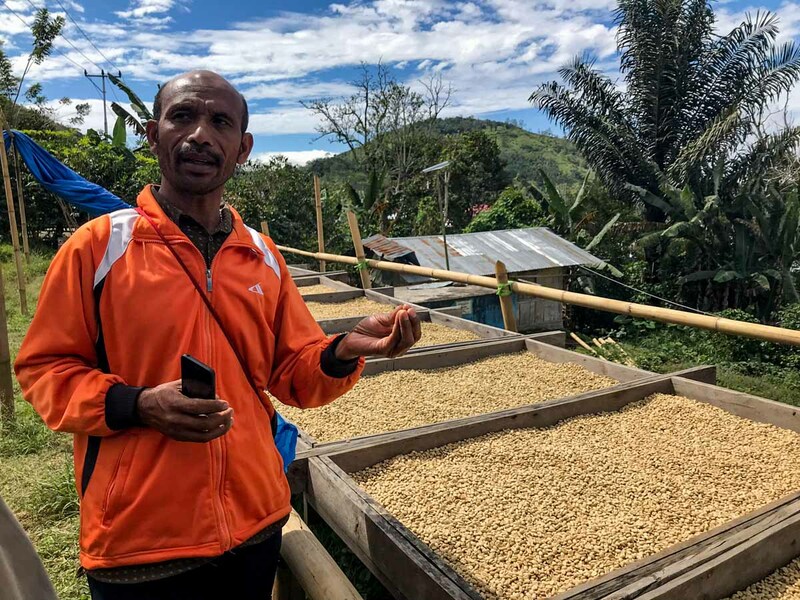 There’s no way to sugar-coat the fact that there was something of a coffee crisis in Sumatra last year: Supplies have been almost desperately low and, correspondingly, prices are exceptionally high—but unfortunately cup basis has almost nothing to do with it. “Basically it rained too much when it wasn’t supposed to and then it was dry when it was supposed to rain, so there was flowering that happened but the cherry never developed,” Piero reports. According to the Association of Indonesian Coffee Exporters and Industry, Indonesian coffee in general was tremendously over the spring harvest, and yields in North Sumatra decreased to roughly 20 percent the typical annual production—an absolutely drastic drop in the supply of coffees that are cornerstones for so many coffee companies. “When we see this type of activity when prices go up and production is low, the farmers don’t really pay as much attention to quality since people are desperate to buy,” Piero says. 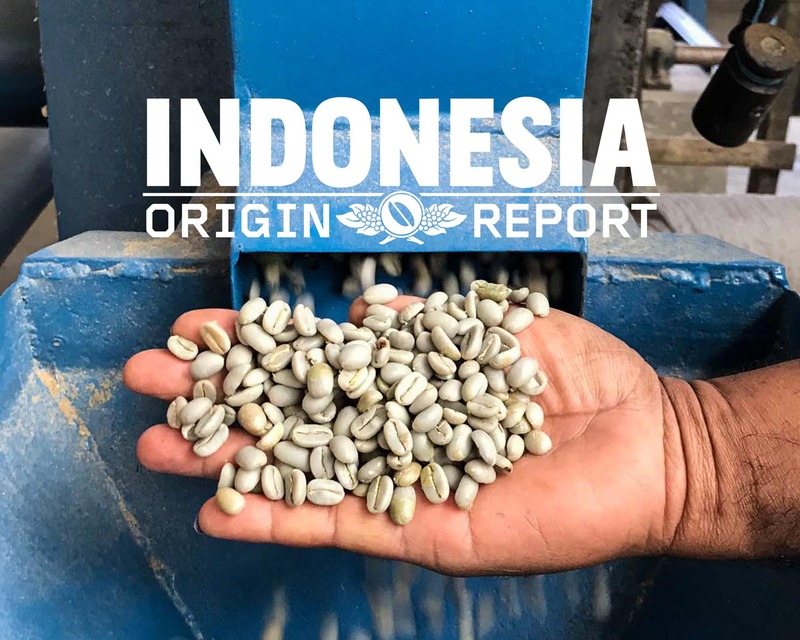 For this reason, we have had short supply of some of our signature coffees such as Harimau Tiger and FTO offerings, as the price simply hadn’t justified the cup. However, Piero learned on his travels that producers are hopeful for improvement in the second season. Overall annual volume is certainly a factor, weather or no weather: Compared to a huge volume—and therefore value—producer like Colombia or Brazil, whose bag counts are in the many millions, Sumatra’s annual production of roughly 400,000 bags on a good year is a drop in the proverbial bucket. We are expecting to see coffee from some familiar and friendly faces, however: In addition to later-season lots from Fair Trade– and organic-certified group like KSU Item Reje Gayo and Kopepi Ketiara, we’re also bringing in single-variety selections from Sabri, who grows Abyssinia variety on his family farm Blang Glee, and the community lots from our micromill partner Sakdan and his Bergandal Mill. “Sakdan is doing really good,” Piero says, following up after a difficult year health-wise for our friend at Bergandal. 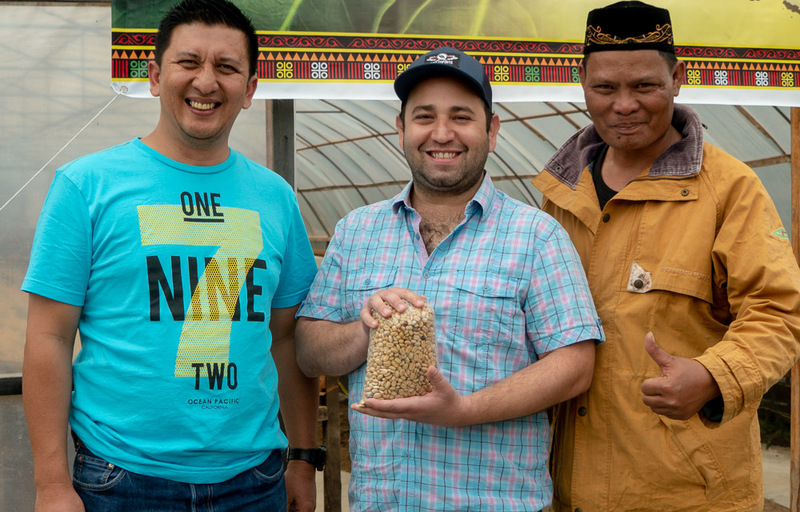 Back on his feet now, Sakdan is interested in collaborating with Cafe Imports on an interesting new social and community endeavor that we can’t wait to watch develop. Meanwhile, Sabri has had some difficulty with his farm help, which Piero says can be common in these times of low supply and very high demand. “If you start being too strict [about quality] with pickers in these conditions, they’ll just tell you, ‘Oh, at the farm next door they don’t really care what we’re doing.’ We’re going to give perfect cherry prep a shot,” Piero says as a possible solution, even though it will probably limit quantities. One of the other most thrilling developments in Piero’s sourcing this year has been the development of a new relationship that is showing real potential, with a small group of growers who are focusing on producing Washed coffees—some of the first that we’ve tasted out of Sumatra, with cup scores between 86–88. 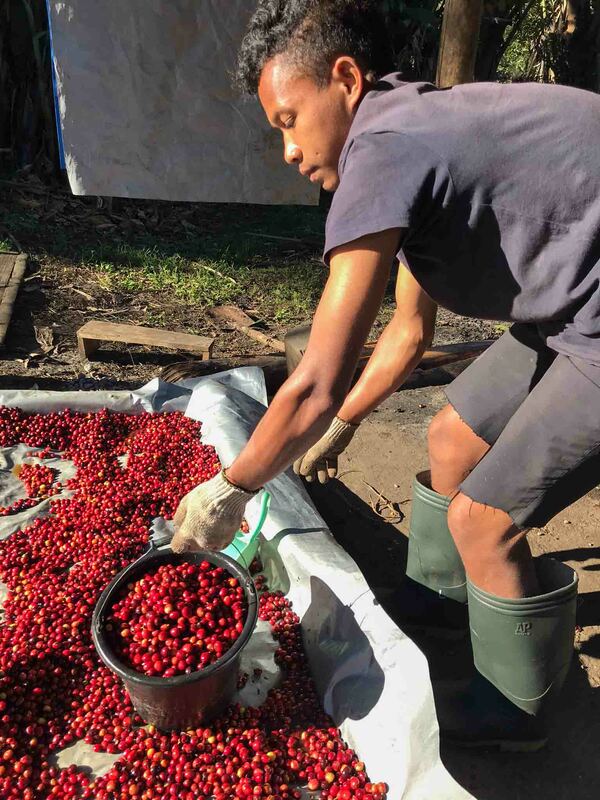 “I thought it was pretty intense, with red fruit—kind of like a Rwanda type coffee. Really interesting. We’ve been trying to work with them for a year,” Piero says, though pre-financing has been an issue for the group. “I have high hopes,” he continues—so stay tuned. It might seem a fair assumption that a company that imports coffee might do more direct work in a growing region that literally shares a name with the stuff, but our past purchases in Java have not been as direct or as consistent as in other parts of Indonesia. Java remains one of the islands that has some large estate farming, something of a holdover from the Dutch colonial history of the island. Four large farms that were former government property account for more than 4,000 hectares, but we have found that the coffees from these bigger properties don’t always stack up to the region’s reputation for ultra-high quality. Instead, Piero has been focusing on finding smaller producers in the west, at high altitudes—between 1,200–1,500, maybe 1,600 meters above sea level. Finding the right partners, then, has been pretty tricky, in part because of the complicated number of steps the coffee goes through, but also simply and practically speaking, because of both distance and difference. “To be honest, it’s been the most complicated,” Piero admits. “Finding good counterparts in Latin America is fairly easy, but here there is a language barrier. 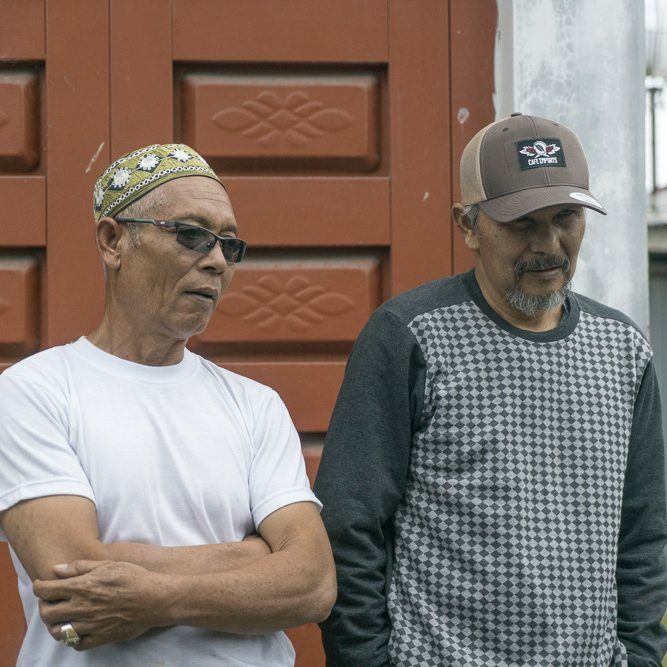 Most of the people—especially local suppliers—don’t speak English, they speak Bahasa Indonesia.” Those challenges are hardly enough to keep Piero from making introductions and, of course seeking out the best cups he can find. 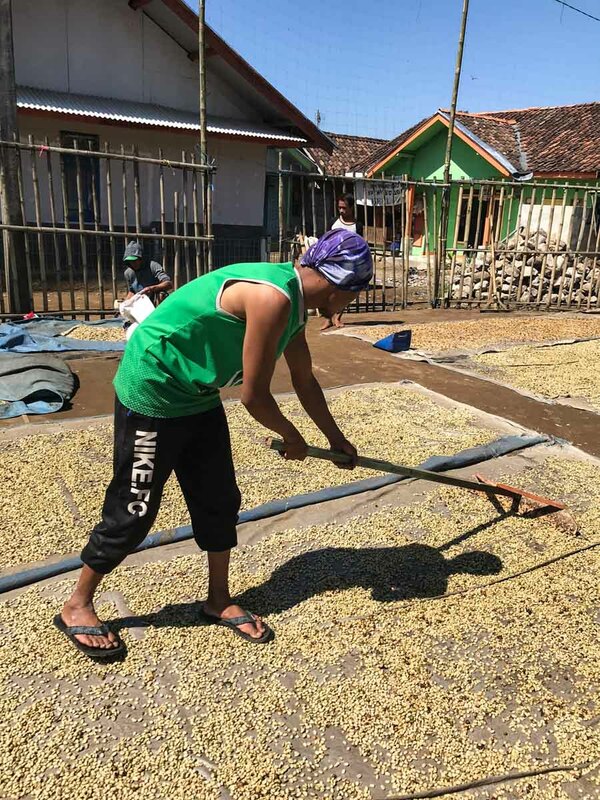 While at the time of this writing we are still waiting on samples from a couple different potential partners in Java (their main harvest generally wraps up in August), Piero came away from his trip here feeling very optimistic, with one Community Coffee booked from the smallholder producers of Majalengka in West Java. If that lot’s cup notes of sweet, tart citric acidity, dark chocolate, and smooth mouthfeel is any indication, this might be the start of something really delicious. The smaller island is distinct from its neighbors on the archipelago not only because of its name (Portuguese for “flowers,” called for the underwater gardens to the east) and its primarily Catholic population (Indonesia is a predominately Muslim country), but also because some of its coffees are Washed, specifically in the Bajawa region, though there is also Wet-Hulling. “Altitudes are around 1,200–1,500 meters,” Piero says, “so there’s potential here, but you can’t really export out of Flores. You have to bring it to Java, or to Medan in Sumatra.” Which, of course, doesn’t add any complications at all. Flores was also still in the thick of harvest at the time of writing, and it’s yet to be seen what relationships and offerings will come out of this season, but with this groundwork and his experience traveling and cupping his way through Indonesia, Piero believes that there is certainly reason to watch this space for awesome updates from this incredible, challenging, varied, and consistently compelling coffee-growing country. Piero expects the coffees resulting from this trip to begin arriving to our international warehouses over the late fall or early winter of 2018. Stay tuned to our offerings list and subscribe to our newsletter for updates on arrivals and to request samples of the available lots.